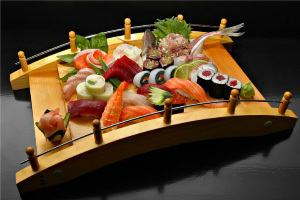 Sushi, Japanese Cuisine — Katana Sushi & Grill in Fountain Hills has 55 various rolls and traditional Japanese cuisine, including Asian Fusion, Japanese, Korean, Sushi Bar, and is open for lunch, dinner, and delicious drinks. 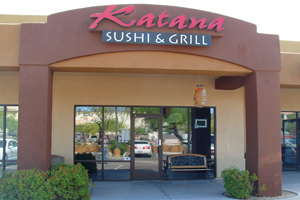 Announcing Summer hours for Katana Sushi & Grill… Mon-Thurs 5-10pm. Open for Lunch Fri and Sat 11:30 -2:30 Dinner 5-10pm and Sun 4-9pm. Hours are effective until August, 31 2013 Be sure to visit us for Happy Hour M-Th 5-7pm! See you soon!